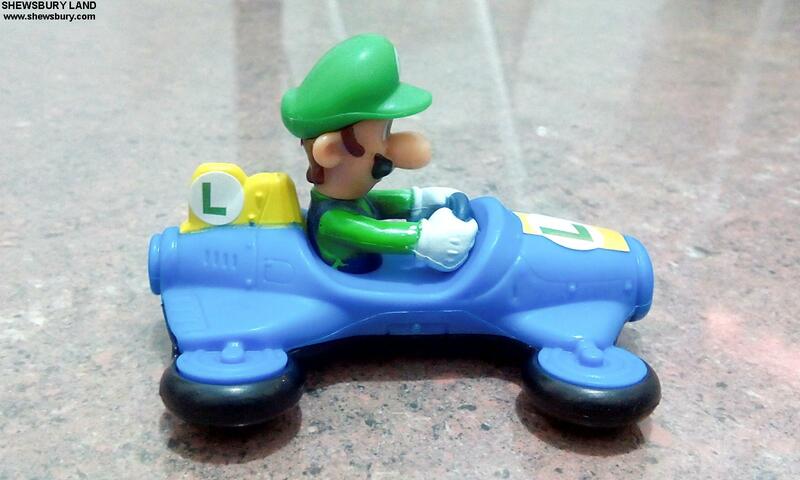 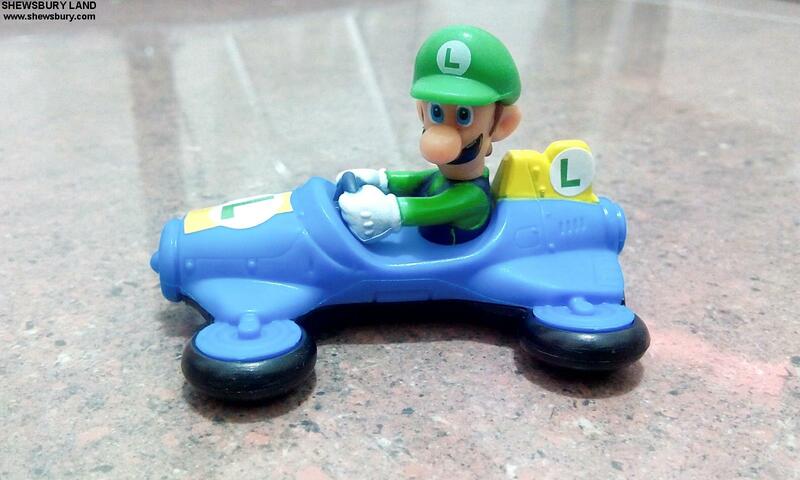 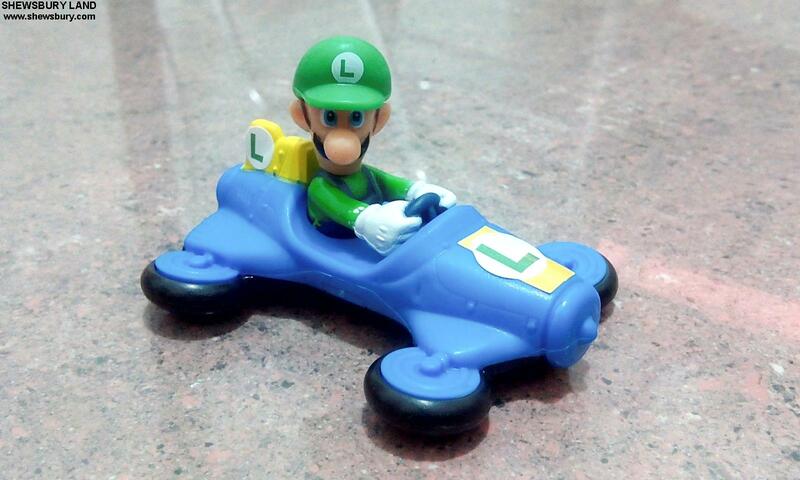 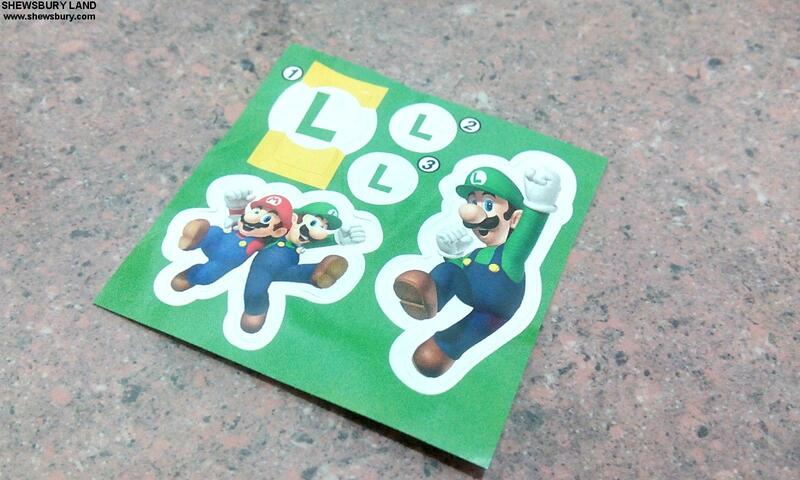 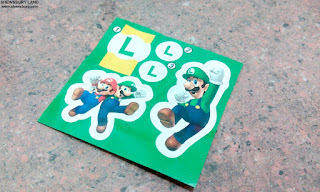 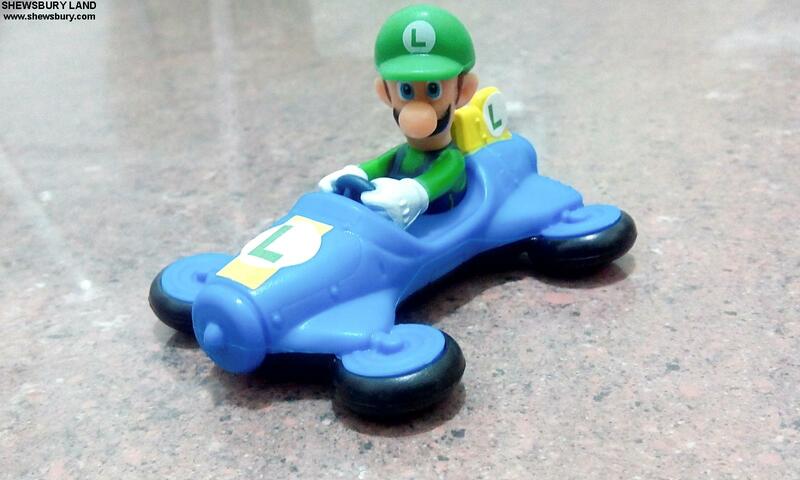 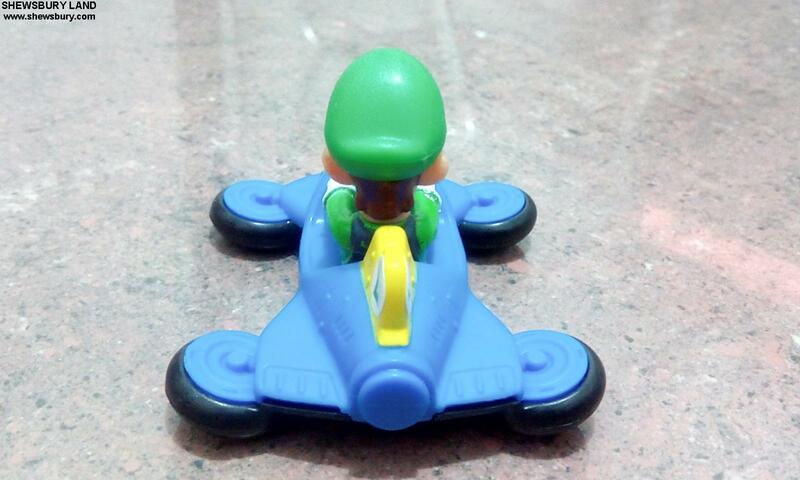 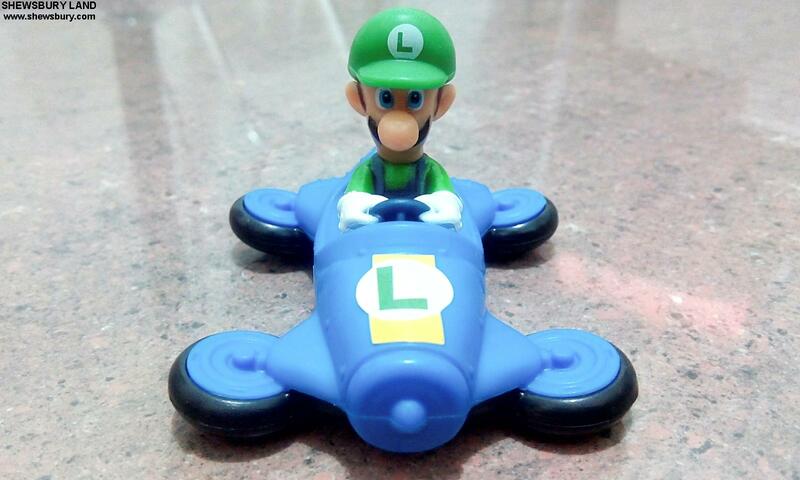 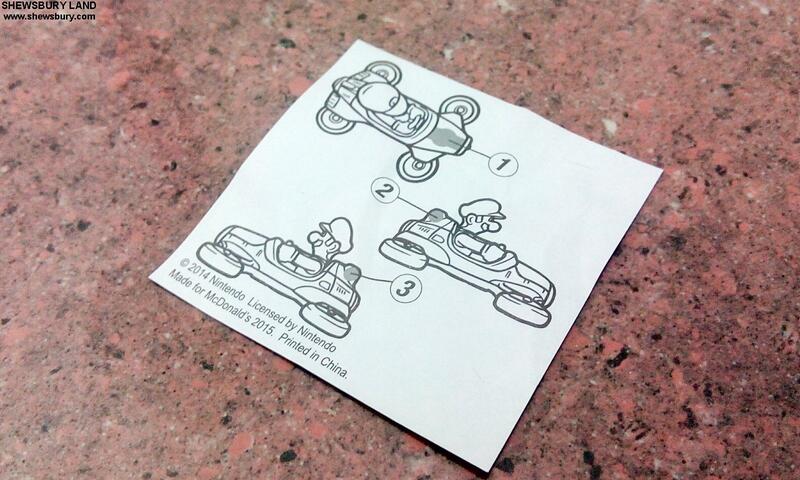 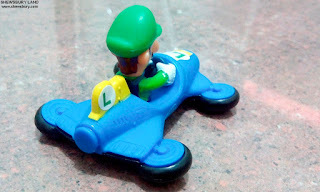 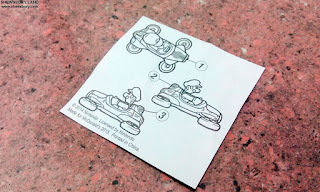 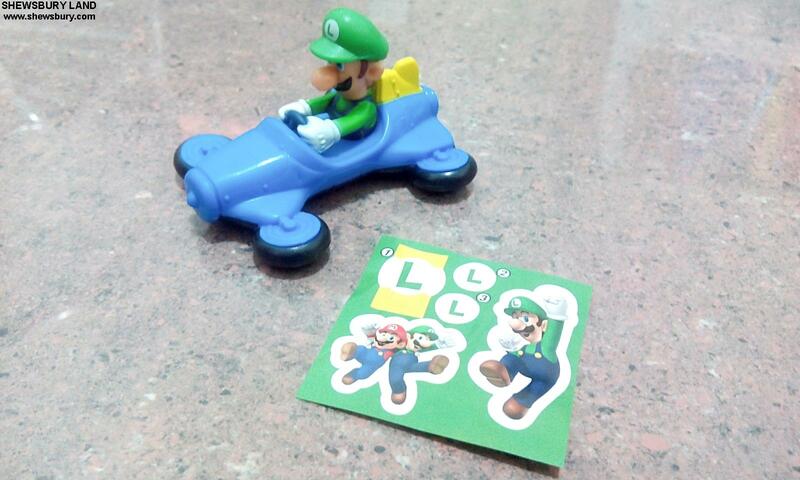 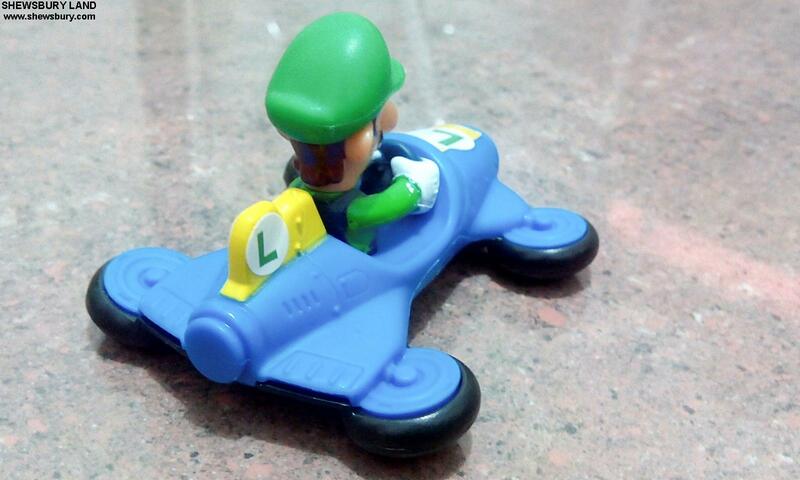 This is a free toy from McDonald's Happy Meal Mario Kart 8 Series and the character name is Luigi, the brother of Mario. 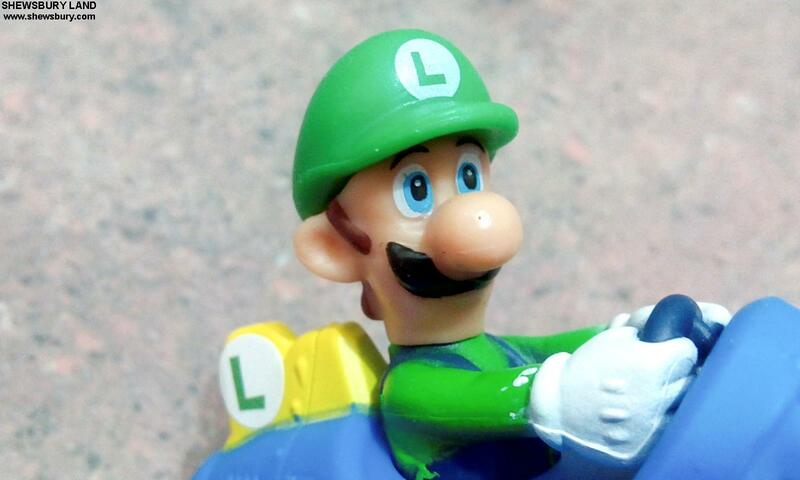 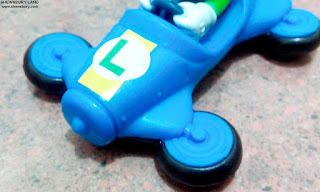 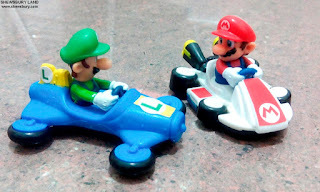 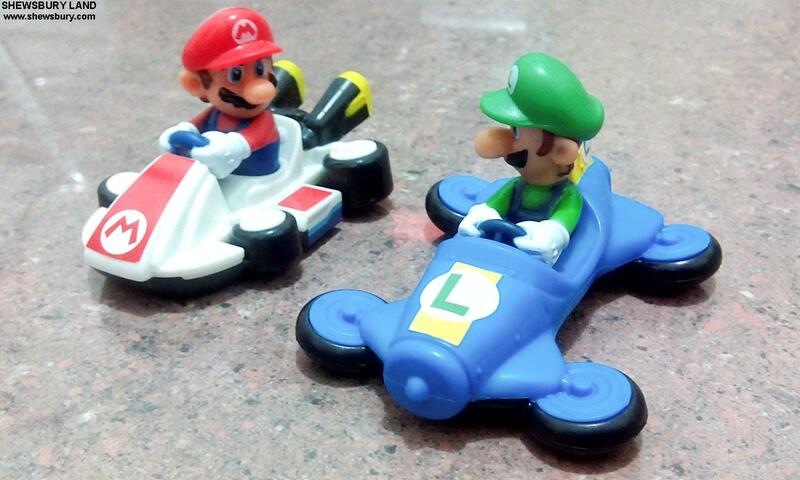 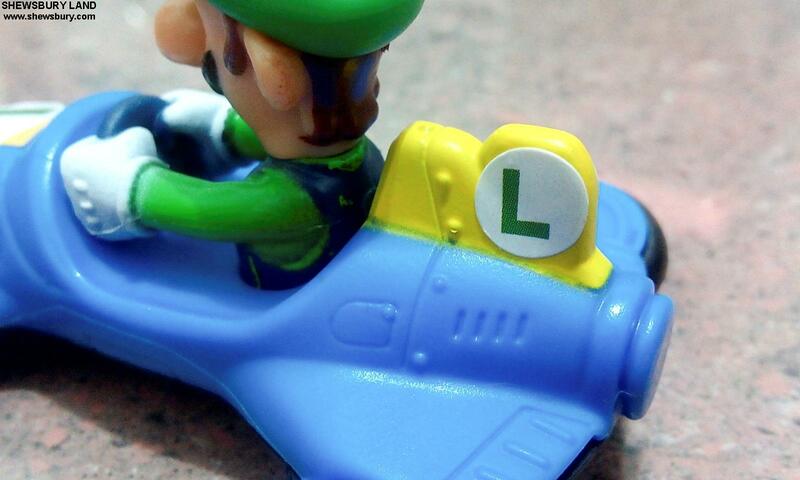 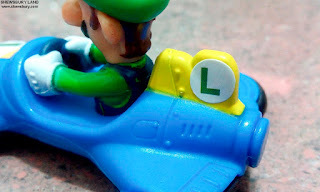 Recently we reviewed the Mario version which is very decent for a Happy Meals Toys and this time around we will look at the blue car of the guy wearing green shirt, Mr. Luigi. Frankly speaking, not much to say about this one, though I like the car blue color scheme but I think the sticker set looks pretty blunt or rather less interesting, furthermore, in terms of go-kart design, I think I prefer the Mario version. The head is articulated so you can really turn the head to the left or right but other than that there is nothing else to discuss about articulation. 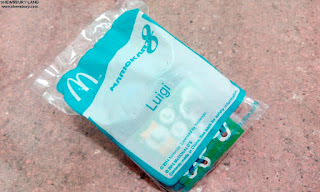 Even so, considering the fact that this is a Happy Meals Toys, I guess we can't expect too much greatness out of it and as it is, I think it's quite decent. 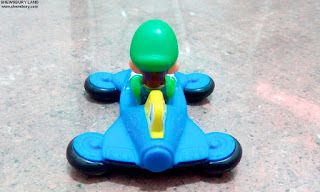 Overall, the finishing quality of this toys is quite good and in fact better than some of those bootleg China made toys you saw at the stores near you. 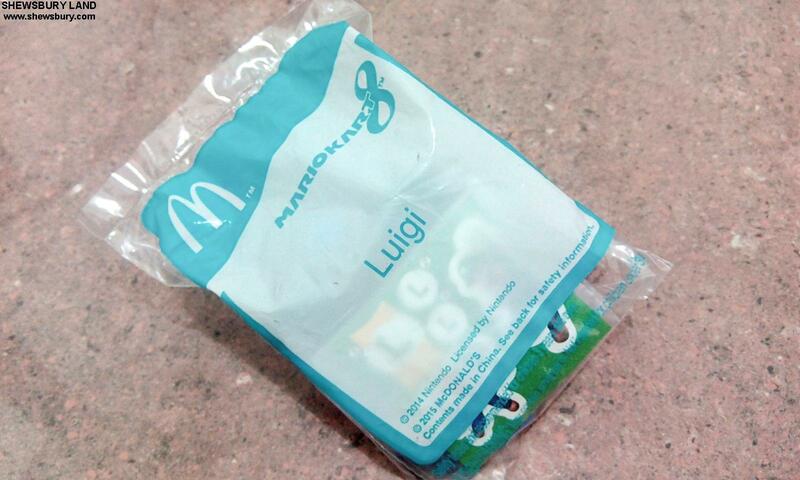 Added the fact that this is a "limited edition" and you basically get it free from McDonald's Happy Meals, I guess this is indeed a very decent deal and certainly fun to have them in your collections. 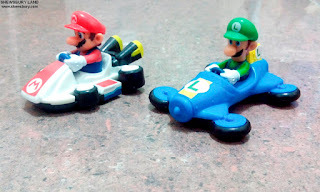 If you have the Mario version, then it will be an added bonus, I think it's OK to skip the rest, with Mario and Luigi in your collection - they should be good enough to represent the whole team from the Mario Kart 8 Series - they are after all the "Mario Bros."
I don't have much but so far these are all my little collections from the McDonald's Happy Meals Toys... 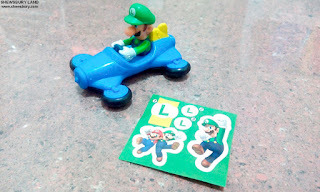 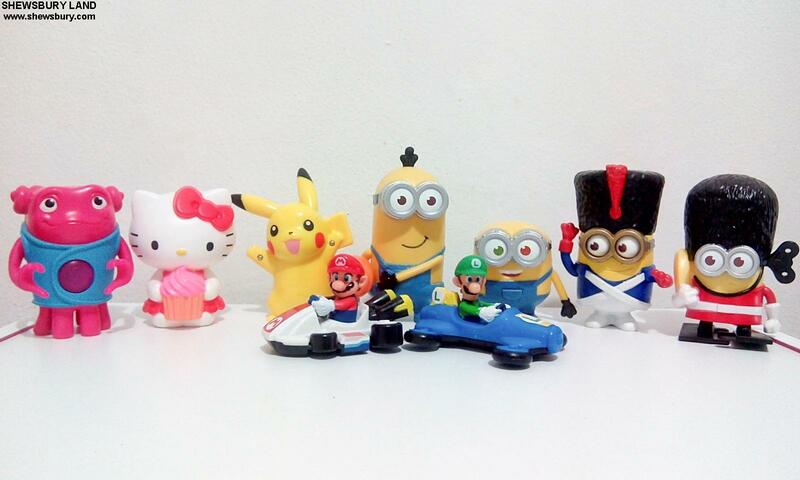 I like them all apparently and this Luigi is the last toy that I bought for this year (2015) and I think it's a good closure for the year and I hope in 2016, I can collect more interesting toys from McDonald's Happy Meals.